Backcountry recreation community, partners and friends! 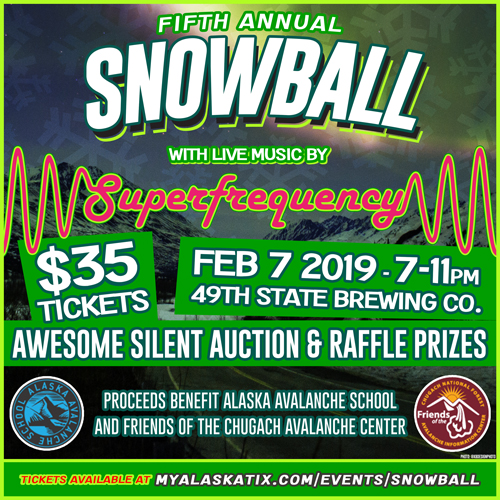 Join us at SNOWBALL where we're celebrating YOU with funky tunes by Superfrequency, plus an awesome silent auction and raffle prizes! 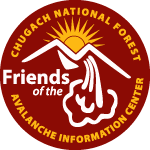 Hosted by Alaska Avalanche School and Friends of the Chugach Avalanche Center. 7-11 pm on Thursday, February 7, 2019. 49th State Brewing Co. Theater in Anchorage. $35 tickets. Buy yours today! Thank you for supporting avalanche forecasting, education, and safety in Alaska!